Looking to save money on office supplies? 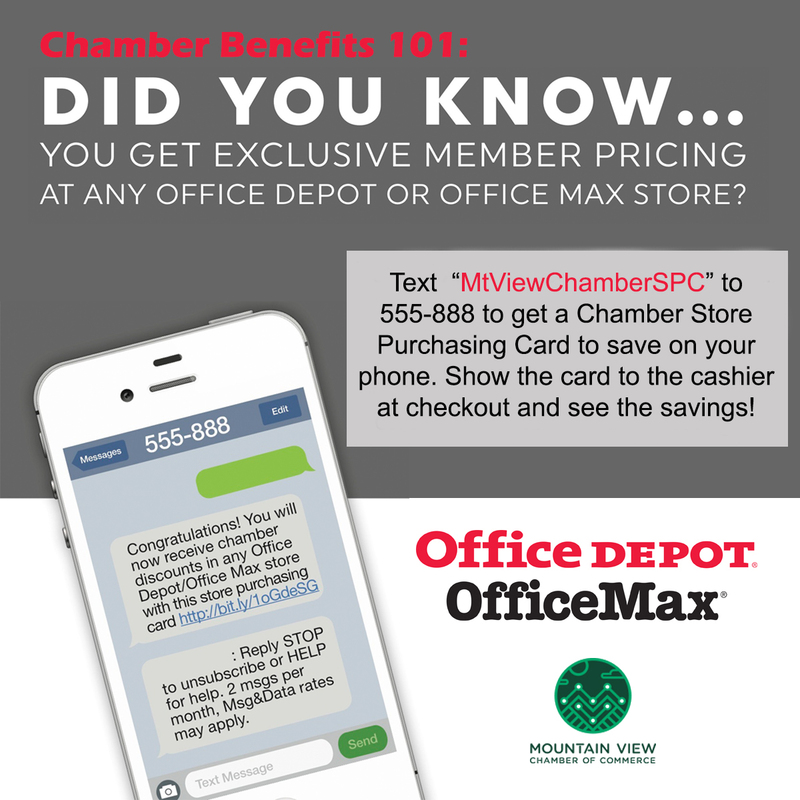 Get exclusive savings through our partnership with Office Depot. Projected annual savings of $360 - $1800 depending on how much you spend a year. 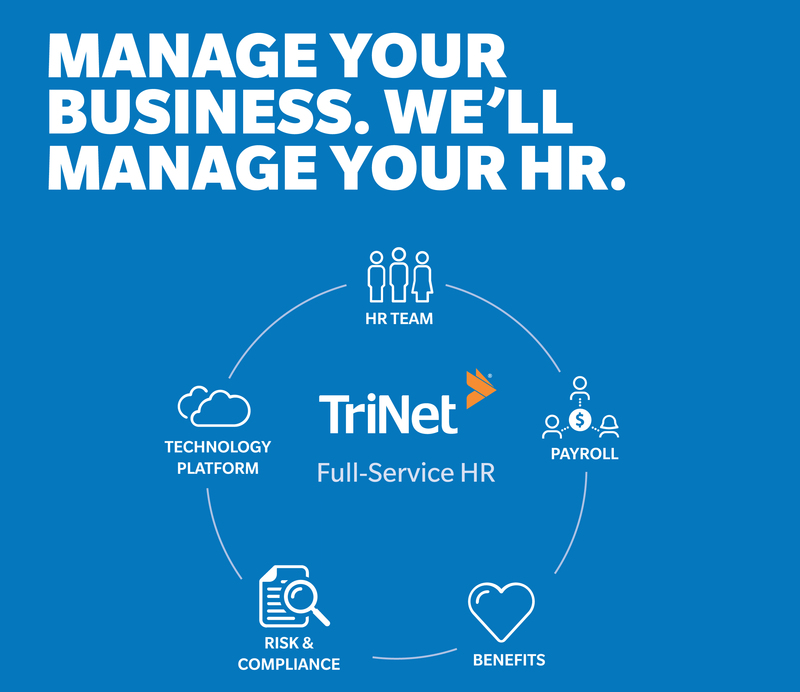 Mountain View Chamber of Commerce has teamed up with TriNet, a leading provider of full-service HR solutions for small to midsize businesses (SMBs) to bring you a one stop shop for your human resource needs. How Can TriNet Help You Succeed? Employee retention, shortage of qualified staff, and growth plans may be at the top of your mind. TriNet can help you offer a competitive benefits package to attract and retain top talent, build a scalable HR infrastructure, and develop and mentor your future leaders. filing real-time entry, payroll preview and direct deposit. Benefits: ACA compliant health plans, retirement, flexible spending accounts for out-of-pocket health care costs, supplemental benefits and COBRA. Risk & Compliance: workers' compensation, Employment Practices Liability Insurance (EPLI), unemployment claims processing, Affordable Care Act (ACA) guidance and employment law compliance support. What Does This Mean for Mountain View Members? Receive a free HR needs analysis by emailing aajffjdjfChristine.Prebil@trinet.com, or call her directly at 650.400.2054. Receive a free HR needs analysis by emailing Christine.Prebil@trinet.com or call her directly at 650-400-2054. Christine.Prebil@trinet.com, or call her directly at 650.400.2054. Accelerating local workforce development via technology-education-community partnership. 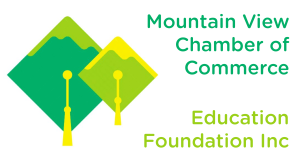 Mountain View Chamber of Commerce Education Foundation and Mountain View technology company, Study.com, are thrilled to announce an unprecedented workforce development initiative. 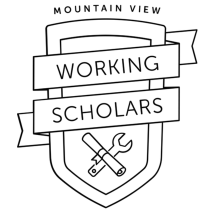 Together, we are offering the opportunity for anybody working in Mountain View to earn a Bachelor's degree in Business - at little to no cost.